Wing Workshops - PLANE-CRAFTERS Inc. This new program is designed for kit-builders who want to give their project a real head-start. With this program, one wing can usually be completely assembled (making assembly of the second wing at home a breeze)! Program lasts five days (a working week) and can be scheduled anytime during regular operating hours. Participants may also schedule their program to coincide with the pick-up of their airframe kit. Richard (right) operates a remote hunting lodge in Quebec where his closest neighbors are a 'mere' 50 miles away... Not surprisingly, he decided to build a STOL CH 801 on floats to operate around his lodge ! 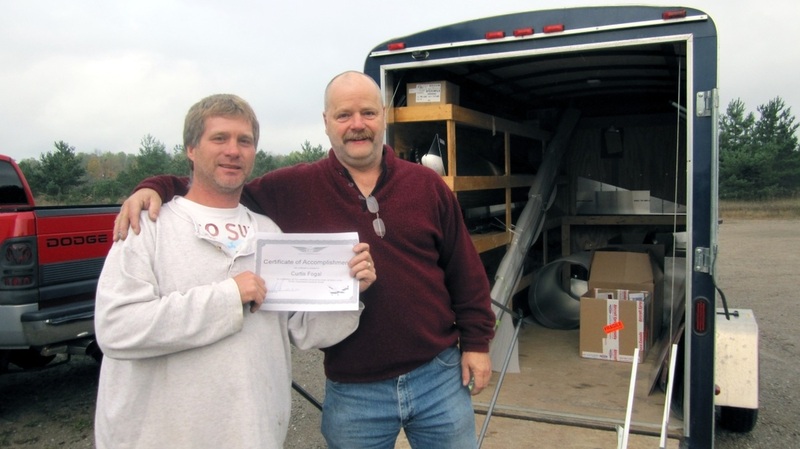 Richard scheduled a wing-building program and brought his friend Curtis; together they assembled the first wing of the aircraft (including fuel system) in 4 days! 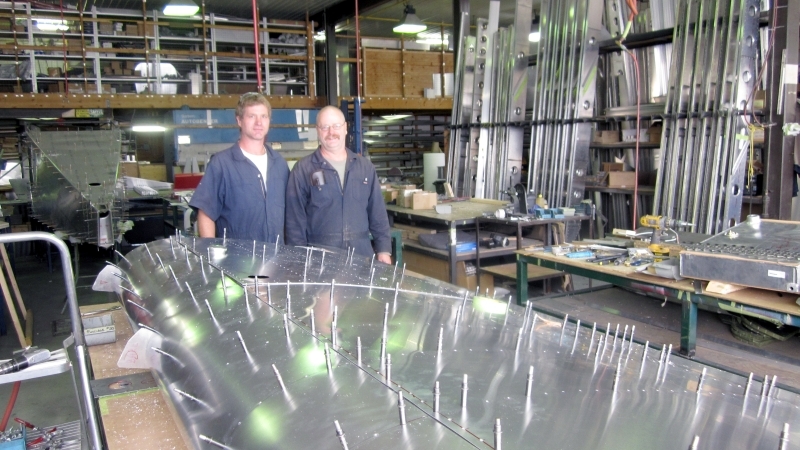 Click HERE to read another wing-building story at Zenair's Midland Airport facilities. Cost of 5-day program: Participation fee of $350.00 + HST (plus price of the kit). Call 705-526-2871 to schedule you own 5-day program! Start your project on the right track: Attend a Workshop!